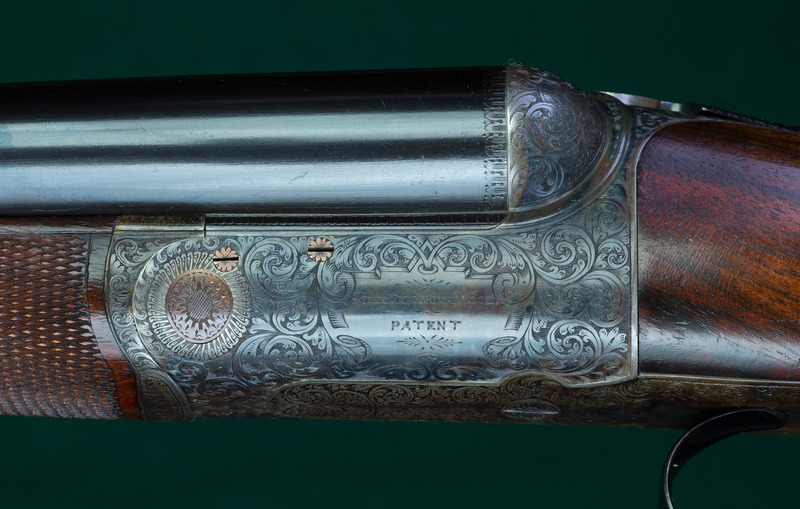 A Winchester Model 1873 rifle with Color Casehardened receiver. A Dickson double rifle with Casehardened action. 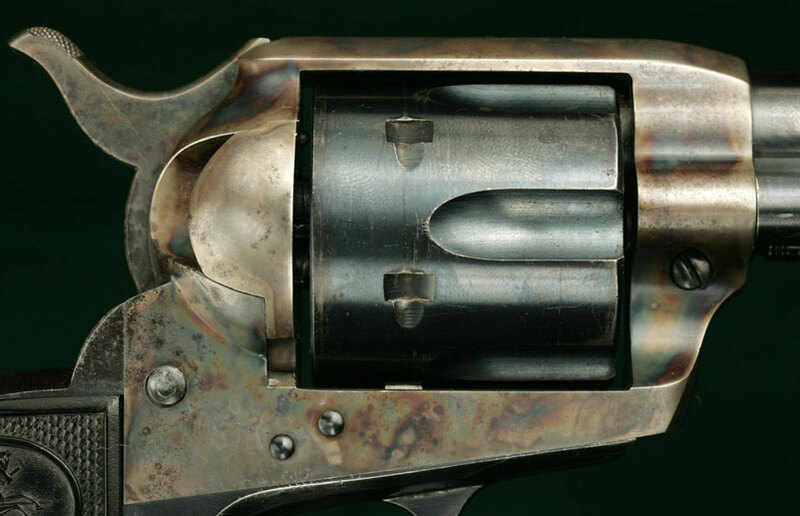 A Colt Single Action Army revolver with Casehardened frame. 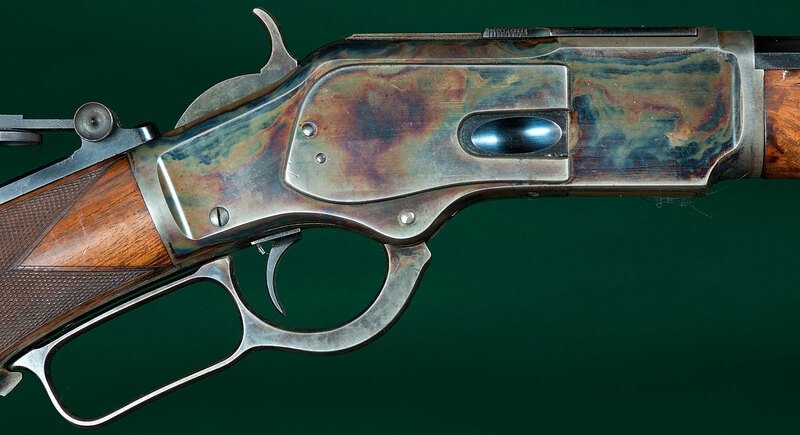 Casehardening Colors - mottled blue/green/brown colors on a shotgun or double rifle receiver, vintage Winchester receiver or Colt Single Action frame. The colors are the by-product of a heat-treating process that incorporates carbon into the surface molecular structure of the steel, providing a hard-wearing surface around 5 thousandths of an inch thick, without making the entire receiver brittle. The parts to be casehardened are packed in a crucible with carbon-rich media such as bone meal and charcoal, heated to bright orange, about 1800°F, then quenched in bubbling oil. The colors themselves are fairly perishable both from wear and from sunlight. The percentage of original case colors remaining is therefore a quick proxy for the cosmetic condition of the gun. Guns should never be re-hardened in the vain interest of restoring the cosmetic effect of the colors. Casehardening is a heat process which alters the surface molecular structure of the steel. Rehardening an action can warp it. Subsequent efforts to straighten the metalwork, either by bending or filing can only harm the fine original metal-to-metal fit and adversely alter the workings of carefully aligned internal parts.